The design on this gold plated Celtic necklace is the Newgrange spiral. 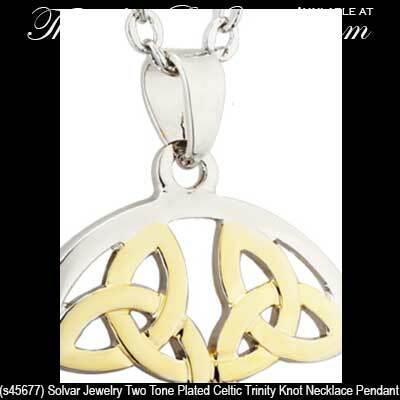 The symbols on this two tone plated necklace are the Celtic knot and the Celtic spiral. 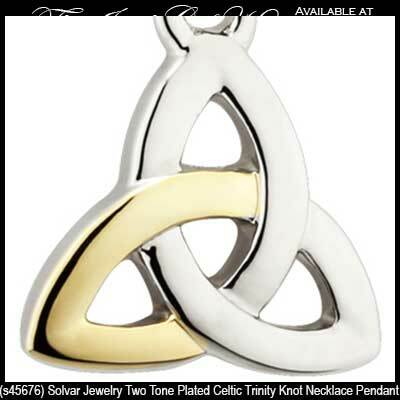 This silver tone plated Celtic necklace features both spirals and a Trinity knot. 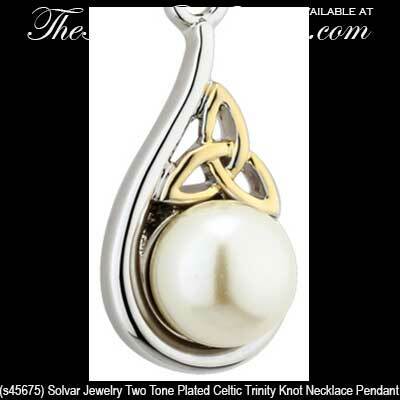 This rhodium plated Celtic necklace is enhanced with a gold plated Trinity knot and a freshwater pearl. 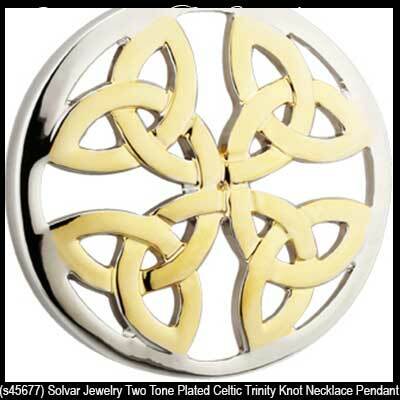 The design on this plated Celtic necklace is an open Trinity knot that is accented with green and white glass stones. 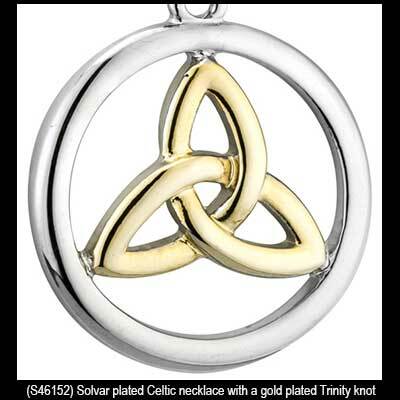 This gold plated Celtic necklace features a Trinity knot that is enhanced with green enamel accenting. 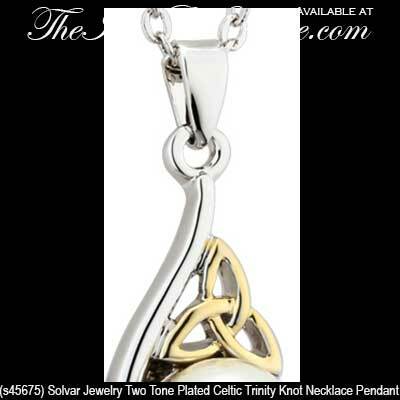 This silver plated Celtic necklace features a green enameled Trinity knot that is accented with crystals.